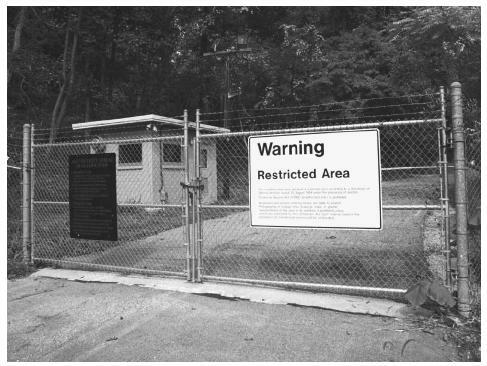 A view of chain-locked gates leading to an area of critical infrastructure, the underground Pentagon near Founatin Dale, Pennsylvania. The facility was built inside a mountain as a second central command structure if needed during wartime. Critical Infrastructure Assurance Office. < http://www.ciao.gov > (January 28, 2003).